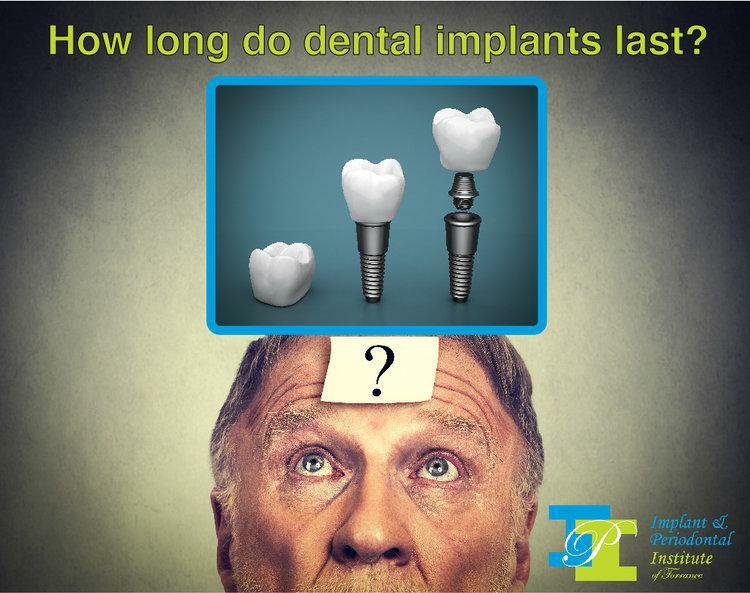 IPI of Torrance Blog How long do dental implants last? Dental implants can last well over 15 years or longer if you properly maintain them with adequate brushing and flossing as well as regular dental check-ups and a cleaning twice a year. A crown or bridge, however, has a shorter lifespan, ranging from 10 to 15 years before requiring replacement due to daily wear. There are patients who had their dental implants placed over 30 years ago and their implants are still functioning properly today. In fact, the first human who had dental implants ever placed in 1965 died in 2006. His implants were still functional at the time of his death. So his implants lasted for over 40 years! Please contact us if you have any questions at 310-320-5661. 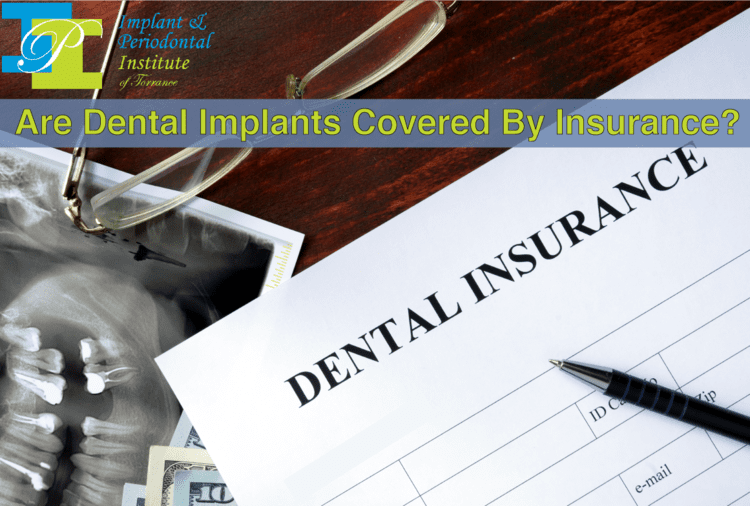 In most cases, dental implants are not covered by dental insurance. 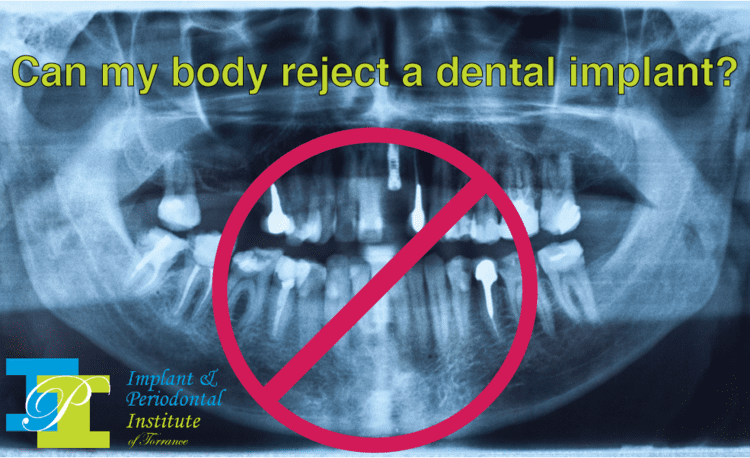 According to the International Congress of Oral Implantologists it is rare that your body will reject your dental implant if properly treated by an experienced dentist. 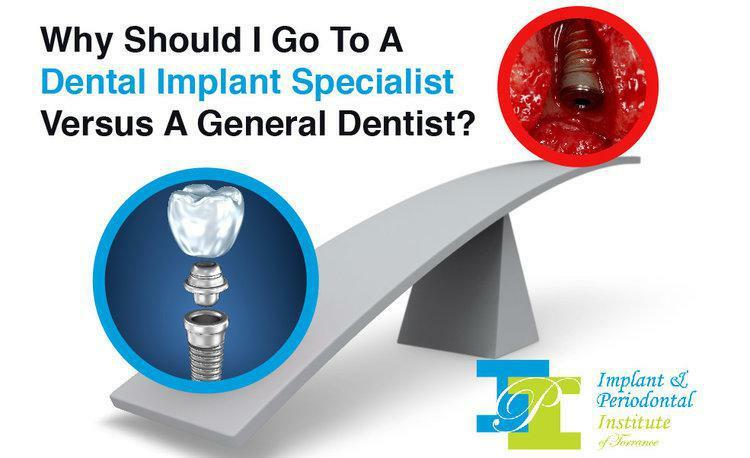 Why should I go to a dental implant specialist vs a general dentist? A dental implant specialist has completed multiple years of extra training and schooling in regards to dental implant surgery beyond what a general dentist has. Implants can replace any tooth in the mouth aside from wisdom teeth. What is the minimum age requirement for dental implants? There is no minimum age requirement for having dental implant surgery. One of the more common events that could occur if a missing tooth is not replaced is drifting or movement of the adjacent and / or opposing teeth.